since writing about my first Steam sale, I've been able to get some more gameplay time in, and am able to write about the games a little more completely now. Updates, ho! I've managed to finish this game at last. Steam's nifty "time played" feature says my play was 3 hours long (which felt way longer). That puts it on the short side even for a downloadable game, though I guess Gone Home was only 1.5 hours. So ... in terms of hours-per-dollar, it's actually better. Gone Home easily beats it when it comes to final grades though. The story in Hydrophobia is a pretty generic, Die Hard-style excuse to shoot terrorists, with the setting taken from the last 45 minutes of Titanic. Throw in the gameplay of Tomb Raider Legend, and you have a so-so game with a so-so story, at an unbeatable price. It was enough for me, but you'll have to decide if that sounds worth it to you. I won't be replaying it but at least enjoyed the one time. We'll have to break out the JPGs for this one. This game does have a story and I've heard good things about it, but I didn't notice it at all and I'll explain why. You see, the game has no combat mechanics, or even any puzzles, and is even pretty weak as a pure exploration game. There are practically no divergent paths, and you walk a trail from point A to point B. It's like one of those attractions at a theme park where you just kind of walk through a maze and look at the pretty set pieces they've built. At Disneyland, for example, a lot of the lines for the rides are heavily produced and made to almost movie-set levels of quality (Think the Indiana Jones line, if you've ever been). That's all this game was, and it was .. pretty awesome. 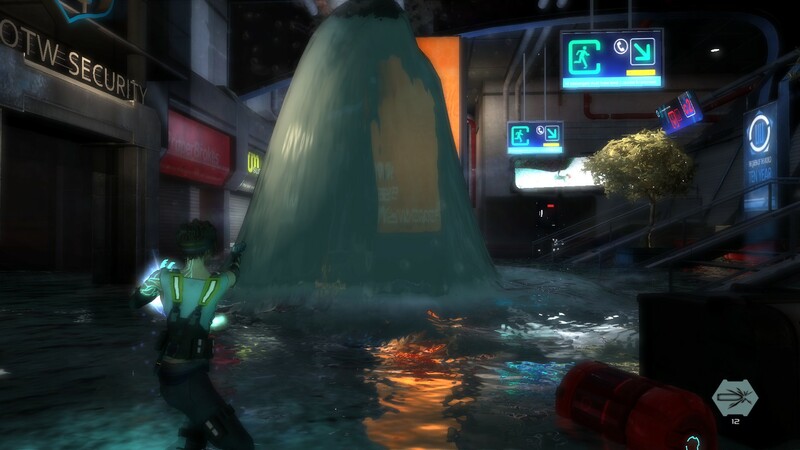 Like I'd said about Hydrophobia in part 1, I'm a sucker for visual aesthetics, particularly as they apply to water. This game (if you can call it that) has 4 sections, which will have you walking through a grassy cliffside, a luminsecent cave, and a beach while a narrator ... narrates. I didn't hear a damn thing he said, because the game was so good looking. This is the best use of the Source engine I've ever seen in terms of raw visuals. I mean, the Source engine is dated as hell, and you can certainly tell that it's the Source engine, but it's just used so well that it doesn't matter. It's the best argument for artistic talent over rendering power that I've ever seen. You don't say a game like this has "good graphics", as it goes beyond simple polycount and pixel shaders. The environments are so carefully built and stunningly presented, that the game is worth playing. This, despite the fact that, at 86 minutes, it's the shortest game in this bundle. The images I've included above hopefully show it off, though I've taken care to not spoil the best bits. Definitely check it out if you're a graphics ho. The one full, retail-sized game I picked up in this grab bag is actually turning out to be better than I expected. The game was a "8/10" critically, and while it didn't exactly fail financially, it didn't preform as hoped for either. It's one of the only open-world crime games I've ever played that wasn't GTA, and it stacks up pretty well. I haven't played GTA5 yet, but did play 4, and Sleeping Dogs easily beats it. 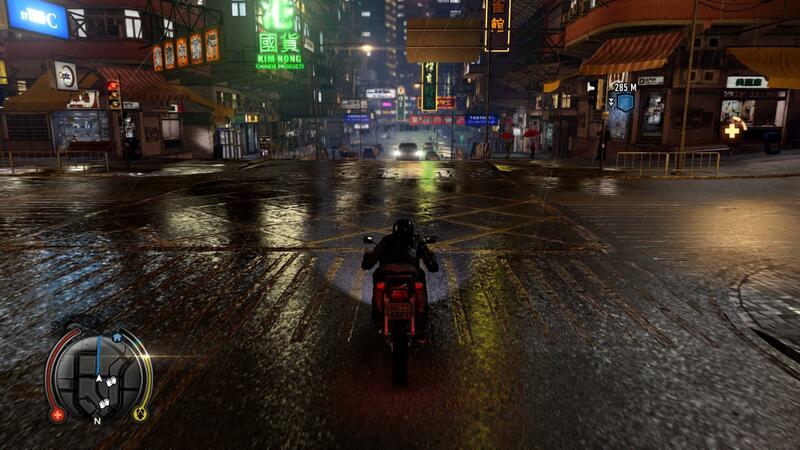 The game takes place in Hong Kong. You are a cop undercover with a gang of triads, and will consequently hear the voice actors go from English to Cantonese often. I bring it up because I've heard that most people who actually speak the language were put off by it; the game allegedly gets Chinese slang wrong in many instances. I have no existing knowledge of Cantonese, so it didn't bother me. The main character and supporting voice actors actually do a great job, but based on how the dialogue reads, it's not hard to imagine. They'll say things like "Show that [Untranslated] who's boss! ", or "Having trouble keeping up, [Untranslated]?". "Don't be such a swollen lima bean!" You play as an undercover cop, and complete missions in a fashion identical to GTA. Where it separates itself a little bit is how much focus there is on melee combat. I'm only a couple of hours in, and I've gotten into so many gang fights. Shakedown mission? It ends with a gang fight. Fetch quest? Gang fight. Help an old lady cross the street? Oh, you better believe there's a gang fight. This isn't a huge, huge issue because the fight mechanics are actually decent. I was raving to Matt about it a long time ago (I'd played the PS3 demo), and he'd said that I was describing how combat is handled in the Batman Arkham games; punch, block, grapple. There's a differentiating factor in the grapples, which allow you to do Jackie Chan-style, context sensitive environmental moves. This includes stuff like smashing your opponent through a window, or tossing him into a dumpster. It's all very fluid, and equal parts entertaining and satisfying. The only issue I see is that I'm only a few hours in, and it's already getting to be a little repetitive. I think as you move on, more melee weapons and even guns are introduced, so hopefully that'll keep it fresh. It's definitely good enough for me to keep playing. If there's anything else worth mentioning, I'll write up an update down the line. I managed to pick up one more game since writing part 1. I very much like horror games, especially the type that don't implement too much combat, if any. Games like Penumbra and Amnesia, both by Frictional Games, take the genre in a direction I'm glad to see it go, and Outlast follows suit. I'd known that this game was coming out for PS4 with a lot of hype, but didn't know it was already out on PC. 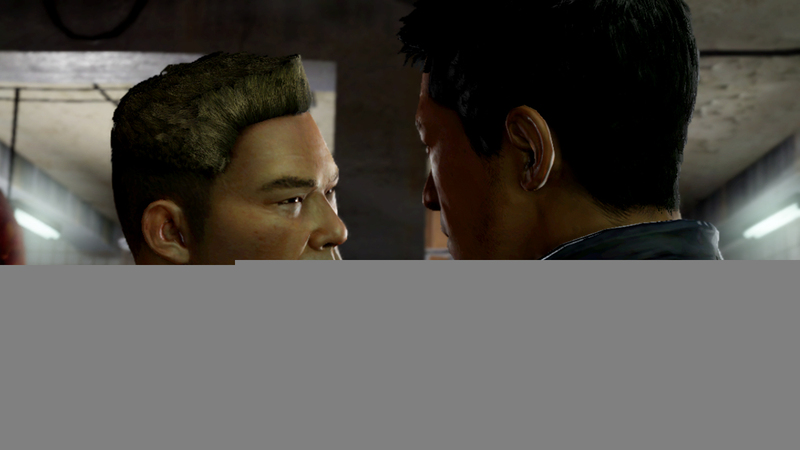 You play a journalist summoned to an asylum by a whistleblower, who says they are doing unethical stuff, or something. "$10 to park? Now that's unethical!" There's no combat, and from what I've seen there's not even much puzzle solving. So far it's your basic "haunted house" game, but it does do atmosphere pretty well. I think Frictional Games's offerings beat this one out a little bit in terms of overall chill factor, but even coming close is a pretty decent achievement. For me, the asylum setting is a bit cliched, as I've seen it done before and can only be scared by a bloody operating table so many times. It still has it's fair share of jump scares, which are just as effective as they are anywhere else (in a good way). It does suffer from some issues (the way Penumbra and Amnesia did) with gameplay sometimes breaking the experience. It's still a game at the end of the day and, as you'd expect, carries the conditions of (A) enemies, and (B) dying. This means that there are going to be either frustrating restarts, or immersion issues. When I say immersion issues, I mean you'll start treating it like a game instead of a haunted house, which causes the fear part of your brain to shut down, and the strategy part to switch on. I encountered a part where I'd had to navigate a small dark area, and perform a few actions in a specific order to move on. In that area, there's an enemy hunting you, and you have to do your tasks while not getting spotted. 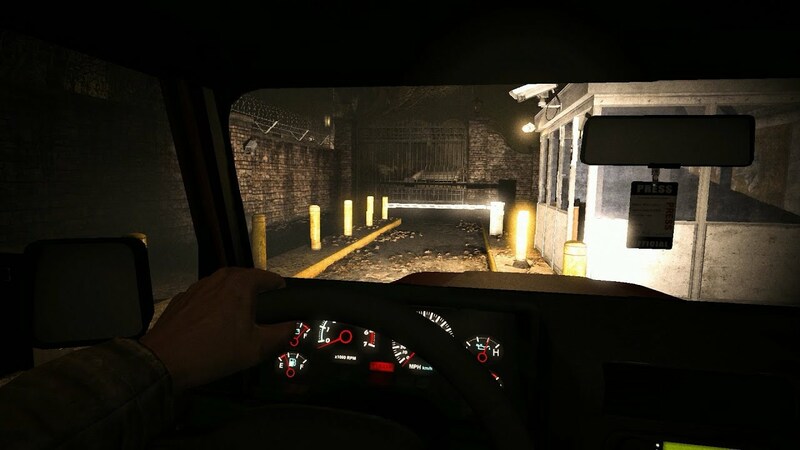 I would regularly get spotted, and was able to avoid death by simply running to the entrance, which the game considered "safe". He'd stop chasing me, go back, and then I'd try again. It's not without it's problems, but is definitely worth a play for horror fans.